A new and faster roll-on roll-off or RORO passenger ship will service the Cebu City to Ormoc City route starting Monday, March 25. M/v Lite Ferry 19 will be launched tomorrow as the twin sister ship of m/v Lite Ferry 18. It was built in 2002 and is the youngest vessel to ply the Cebu-Ormoc route. It is also the fastest ship on the route, with a travel time of 4 and 1/2 hours. The vessel is equipped with 2 new Ningbo diesel engines built in 2017, with a total power of 7,800 HP. It has a maximum speed of 16.8 knots and service speed of 15 knots. CEBU-ORMOC. M/v Lite Ferry 19 will be the fastest ship to service the Cebu City-Ormoc City route, covering the distance in 4 and 1/2 hours. Lite Ferries President and Chief Executive Officer Lucio E. Lim, Jr. said the ship is intended to improve their servicing of the existing Cebu to Ormoc route. The acquisition of the new ship is also part of Lite Ferries’ efforts to contribute to the modernization of the country’s shipping industry. A ceremonial ribbon cutting is scheduled during tomorrow’s launch aboard m/v Lite Ferry 19. Guests scheduled to join the ceremony are Senate President Vicente Sotto III, Labor Undersecretary Renato Ebarle, and Ormoc City Mayor Richard Gomez. Lim will lead the launching together with COO Fernando A. Inting, VP for Ship Management Jonathan Lim-Imboy, Assistant Manager for Operations Jethro Lim-Imboy, and other members of the Lite Ferries management. ACCOMMODATIONS. M/v Lite Ferry 19 can accommodate a total of 856 passengers. When it starts servicing the route, m/v Lite Ferry will leave Cebu City for Ormoc City at 11 a.m. daily and from Ormoc City to Cebu City at 11 p.m. The company said in a press release that m/v Lite Ferry 19 has interior-designed accommodations with hotel like features and amenities including an air conditioned 40-seater restaurant, a fully stocked canteen that will open overnight, an information desk, and multi-purpose kiosk. It has two economy passenger decks, tourist class, business class, and four executive cabin rooms that can accommodate a total of 856 passengers. Its deck pathways have bigger spaces than Marina standards and its facilities are compliant with international maritime standards. 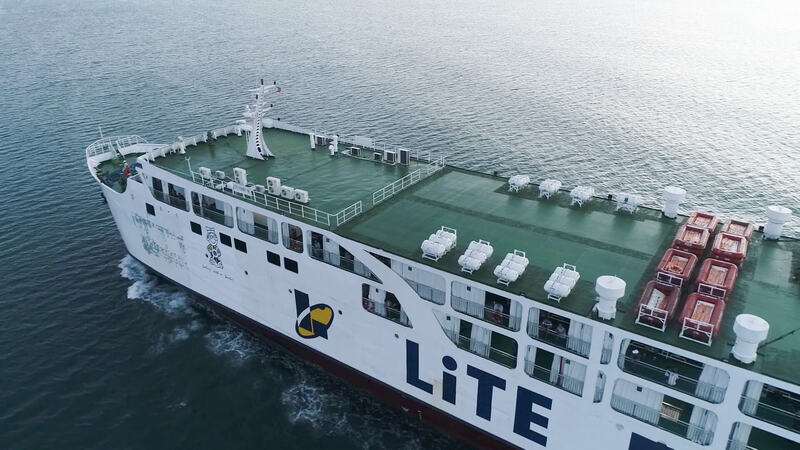 Lite Ferries continues to improve its existing fleet by acquiring more vessels, with deliveries expected later in the year.